Kyphosis is an exaggerated rounding of the thoracic spine. 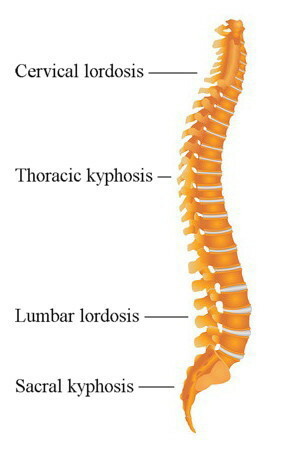 The thoracic portion of the spine has a normal forward curvature ranging between 20 and 50 degrees. When the curvature is greater than 50 degrees, it is defined as hyperkyphosis, but commonly referred to as kyphosis. There are many causes of kyphosis, including osteoporosis, genetic defects, neuromuscular disorders, spinal degeneration, nutritional deficiencies, and Scheuermann’s Disease. However, the most common type of kyphosis is postural kyphosis, which results from habitual posture, repetitive movement patterns, and stress. Why do we develop Postural Kyphosis? When we’re born, the vast majority of us have naturally perfect posture. Over the years, due to stress, athletic training, fatigue, or long hours at the computer, driving, or using smart phones, our nervous system can actually learn to keep our chest and abdominal muscles somewhat contracted all the time, resulting in postural kyphosis. This is the process of developing muscle memory. The muscular contraction occurs on a subconscious level, and we are typically not aware of the postural adaptation that occurs as our muscles gradually become tighter. Kyphosis resulting from chronic muscular contraction can occur at any age. For many people, it occurs gradually over time, and doesn’t become a significant problem until middle age. 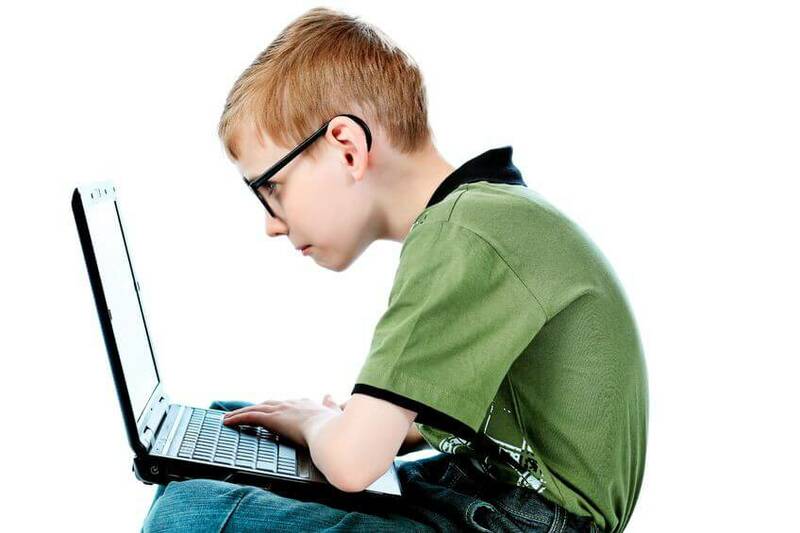 However, with children and teenagers spending more and more time at computers and on smart phones, postural kyphosis is rapidly becoming a young person’s problem as well. Back and neck pain: When the weight of the head and rib cage are pulled in front of the center of gravity, the back and neck muscles automatically contract in order to maintain balance. Habitual contraction of the back and neck muscles can lead to muscle soreness and pain, disc degeneration, and spinal nerve impingement. Shallow or clavicular breathing: In order to take a full breath, the diaphragm be able to contract downward and push the contents of the abdomen forward. If the abdominal muscles are tight, this action cannot occur and breathing becomes shallow and strained. Chronic compression in the front of the body also puts pressure on all the internal organs, contributing to high blood pressure, digestive problems, frequent urination, constipation, and impotence. Many trainers and physical therapists teach exercises that strengthen the back and shoulder muscles in order to attempt to correct kyphosis. These exercises simply teach the back and shoulder muscles to stay tight, pulling the head, shoulders, and upper back into an upright position. While this might seem like a logical approach, the end result is that you have chronically contracted muscles on both your front and back. Stretching is also typically not effective for kyphosis. Stretching manually lengthens muscles at a structural level rather than a functional level. In other words, stretching simply pulls on muscle fibers, temporarily lengthening them. Usually within just a few hours, muscle fibers will begin to return to their contracted state. Neither stretching nor strengthening effectively addresses the underlying cause of postural kyphosis: the learned, involuntary muscular contraction of the chest and abdominal muscles. The most effective way to retrain the nervous system to release involuntary muscular contraction is with a movement technique called pandiculation. Pandiculation contracts and releases muscles in such a way that accurate biofeedback is sent to the brain, naturally resetting the alpha-gamma loop, a feedback loop which controls the resting level of contraction in muscles. Pandiculation is one of the techniques used in Clinical Somatic Education, a method of neuromuscular education developed by Thomas Hanna. Pandiculation is very slow, gentle, and therapeutic. It can be done hands-on with a certified educator, or on your own at home in the form of self-care exercises. If you’re interested in learning Clinical Somatics exercises, a great place to start is the Level One Course.